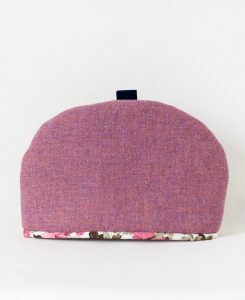 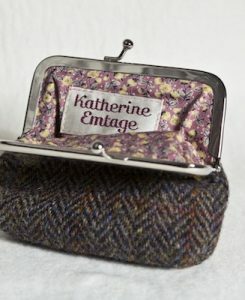 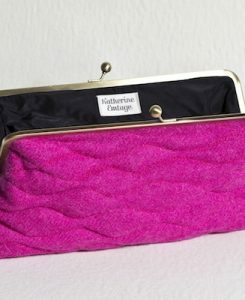 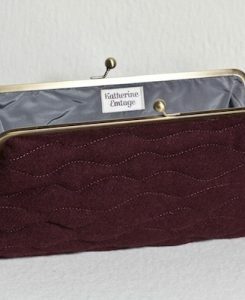 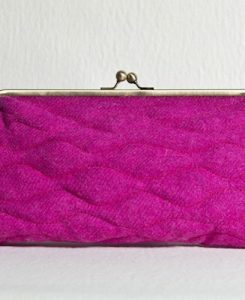 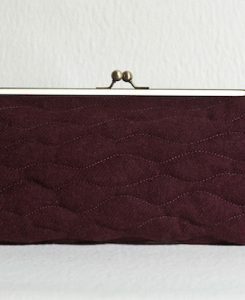 Purpley pink Harris Tweed, cotton floral lining and a cosy interlining. 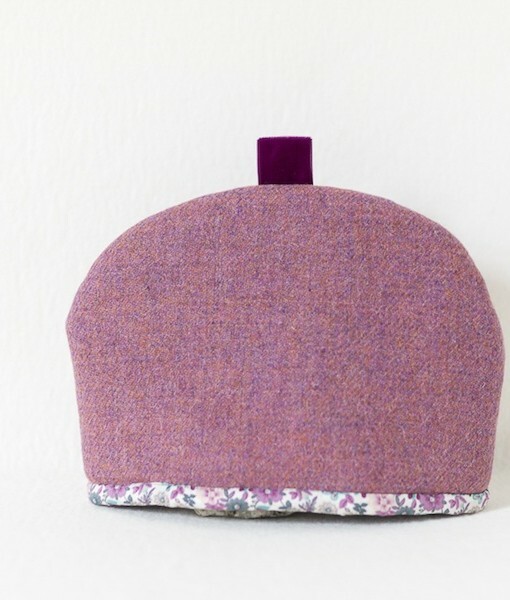 Your teapot will thank you daily. 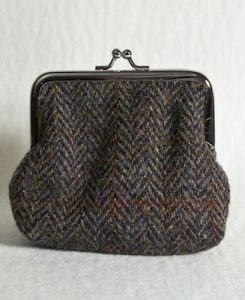 Walking in the Scottish hills is like running your hands through metres of Harris Tweed. 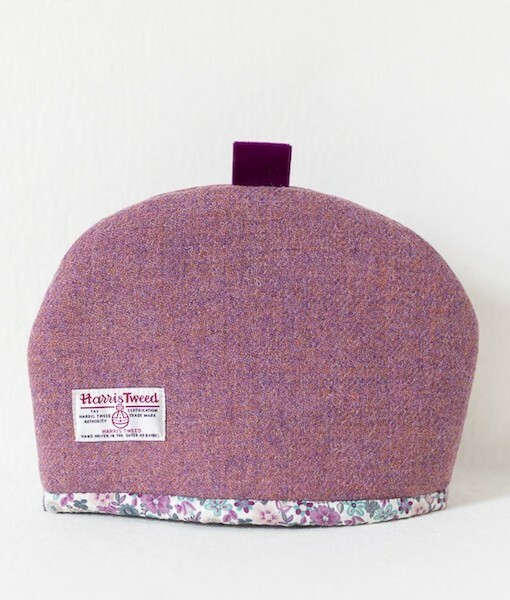 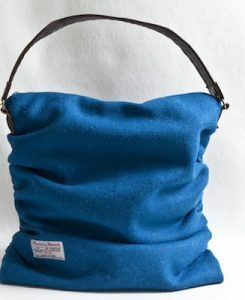 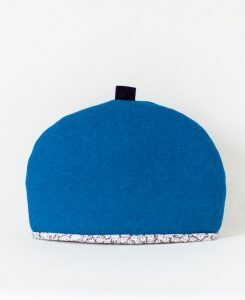 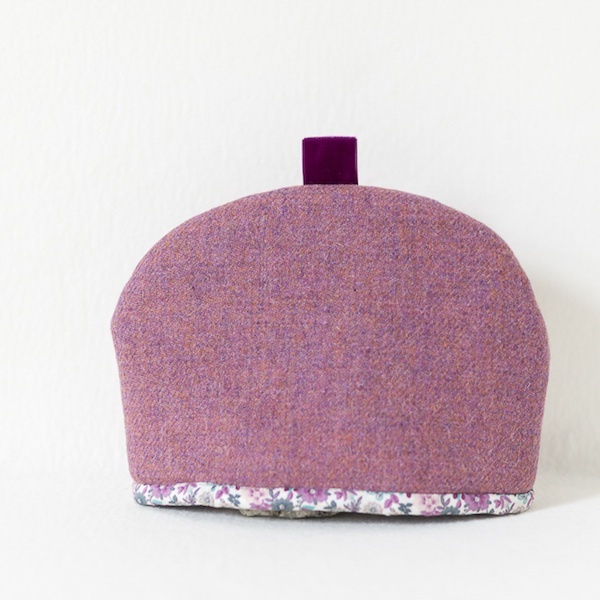 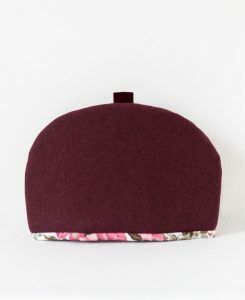 The tweed on this heather Harris Tweed tea cosy is like a Scottish hillside in your own home, but thankfully without the inappropriate footwear. 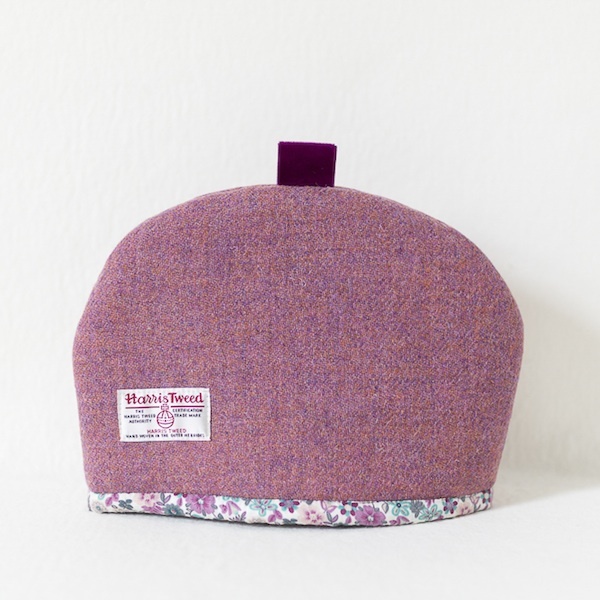 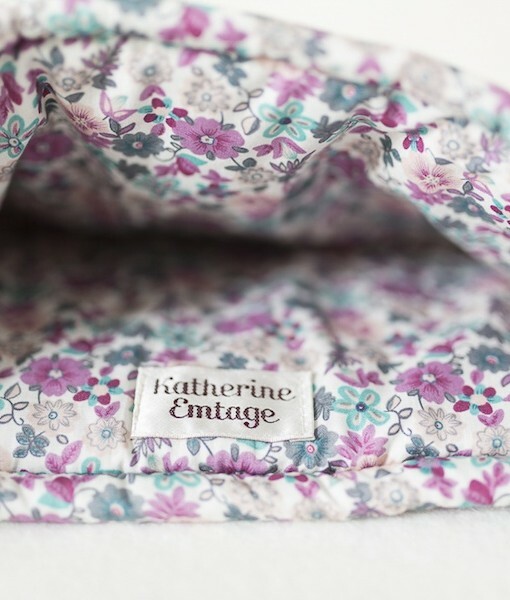 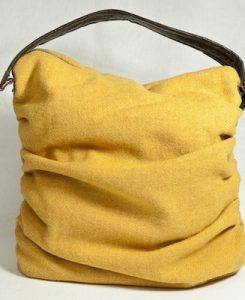 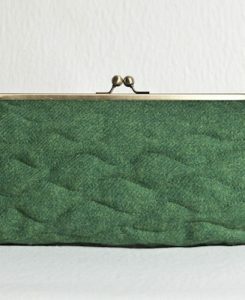 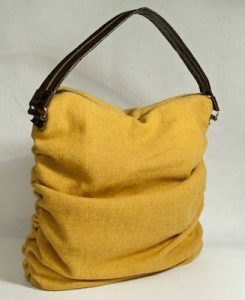 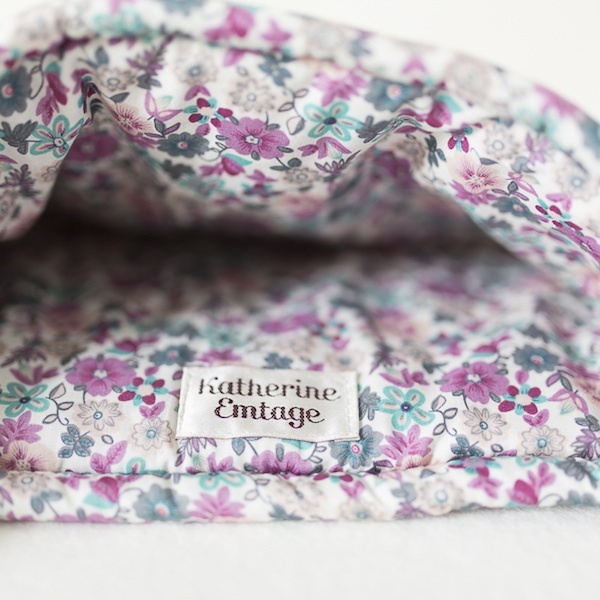 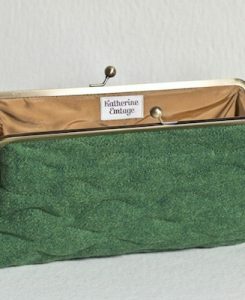 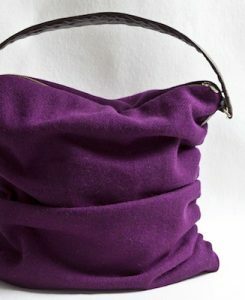 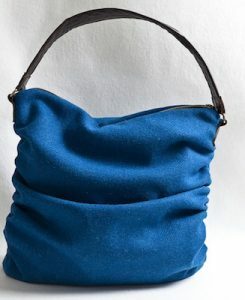 The floral cotton linings are individually chosen for each tea cosy, so the tea cosy you choose may not have exactly the same lining as the one pictured. 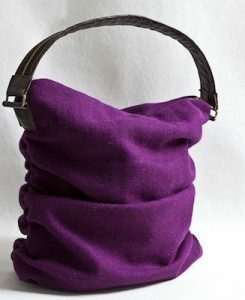 However, you can be sure it will look great!